I have more or less resigned to the fact that I shall draw caricatures of musicians only. I feel safe this way. 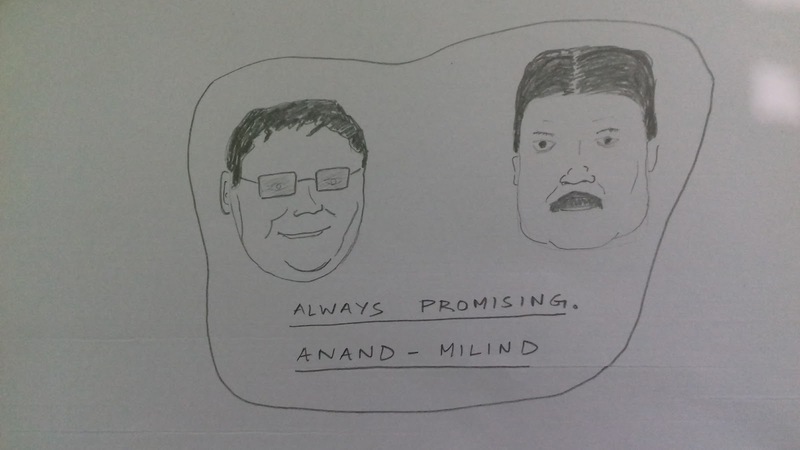 Moreover, the caricatures on R D Burman musicians gave me encouragement from a fellow blogger. He wrote good. I have made a caricature on Anand Milind.